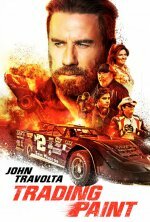 Trading Paint release date was Friday, March 22, 2019. This was a Limited in theaters release. At one point in the early 2000s, Britney Spears was attached to star as the daughter of the racing duo (later switched to a son) (1/28/19).